The launch of a brand new Mercedes-Benz SL doesn't come around very often. 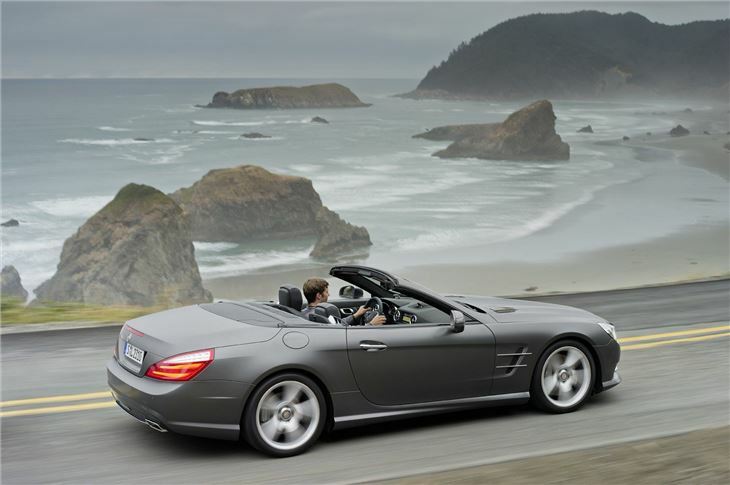 Consequently, it always causes quite a stir and acts as a showcase for the latest technology. With the last one, back in 2002, it was the metal folding roof, a first for a car of that size. This time it's gone all-aluminium (well, the 'body-in-white' structure that underpins the car has at least). That may not sound as exciting as the origami roof (the new one still has that), but at a stroke it's contributed to a 140kg weight saving over the old car, helped to reduce emissions and created a much improved driving experience. 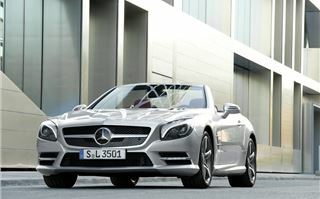 It looks good too - a big improvement on the awkward facelift of the previous model. 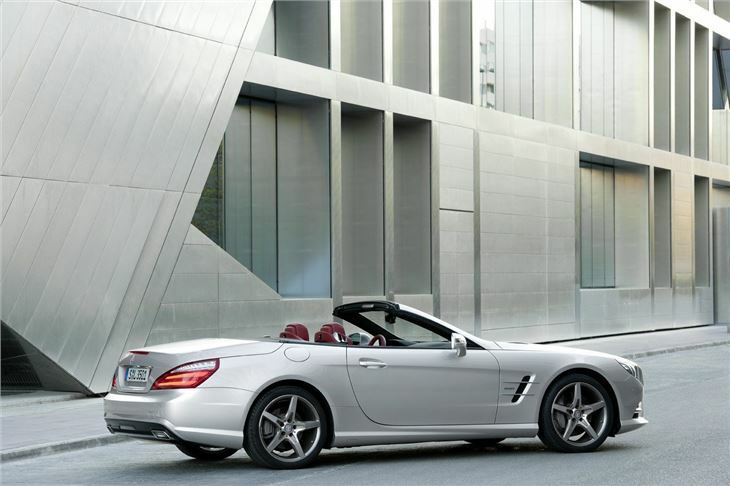 This latest incarnation is instantly recognisable as a Mercedes-Benz SL and subtle detailing at the front is a clear nod to the 1960s 'Pagoda' SL. 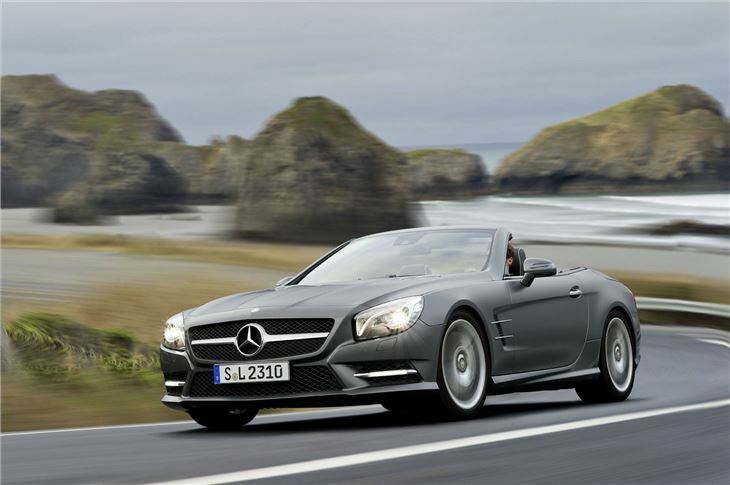 From the long bonnet and compact passenger compartment to the short rear-overhangs, it’s clear that this is the latest in a long line of big Mercedes-Benz roadsters. 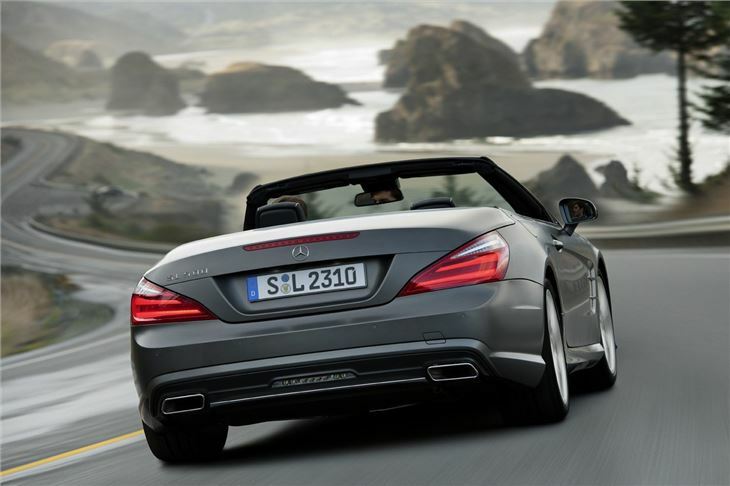 What isn’t so familiar is the fuel economy; the engines are much, much more efficient. 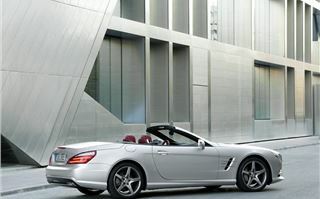 Mercedes-Benz has now got the twin-turbocharged V8 in the SL500 up to 31mpg. To put that into context, 10 years ago, when fuel economy was less of a consideration, the equivalent engine was returning just 22mpg. That’s an improvement of 22 per cent. 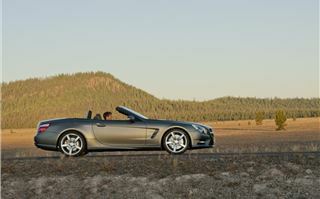 The 3.5-litre V6 in the SL350 is even better. Here there’s been a 30 per cent improvement, which means it’s capable of an official average figure of 41.5 mpg. 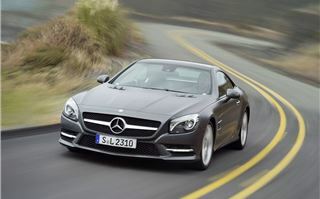 As well as being cleaner, the new SL has more grunt. 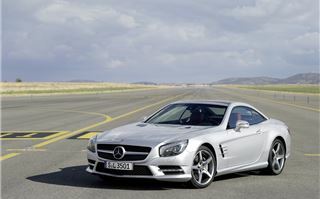 There's a maximum 370Nm of torque on the SL350, while the SL500 has jumped from 530Nm to 700Nm. 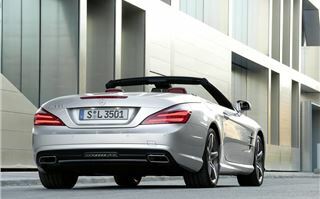 It doesn’t hang around either, with 0-62mph arriving in just 4.6 seconds (the SL350 manages the benchmark in 5.9 seconds). But that doesn't mean that it's a handful at lower speeds. In fact it's just as happy around town as it is on the open road. 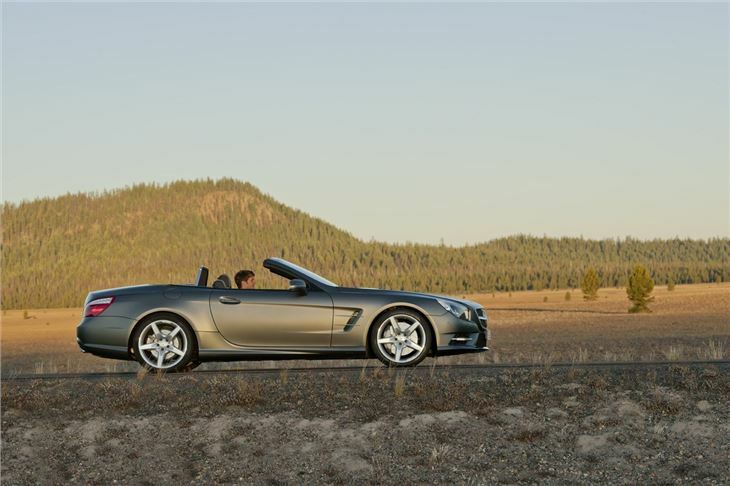 It's a good mix between comfortable cruiser and an all-out sports car. As standard you get multi-link semi-adjustable suspension, though you can specify ABC (Active Body Control) air suspension if you're looking for better body control. Most buyers are better off saving their money and sticking with the standard set-up. It's a good system that does an impressive job of gliding over the roughest lumps and bumps, while retaining enough stiffness to make light work of corners. 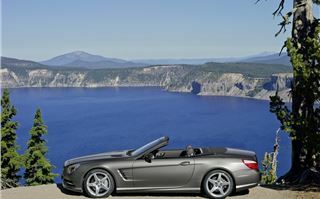 Neither is there any hint of scuttle-shake - the vibrations through the car that often come with removing the roof. 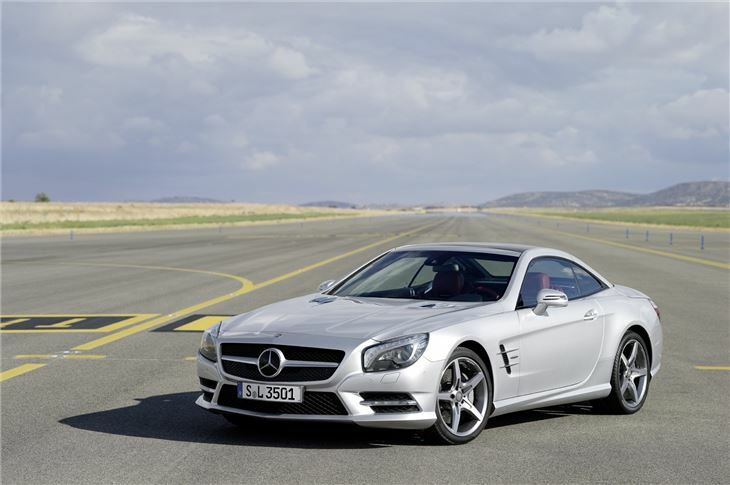 At speed, through tight corners and across uneven roads, the SL remains as rigid and shake-free as it is cruising the motorway. 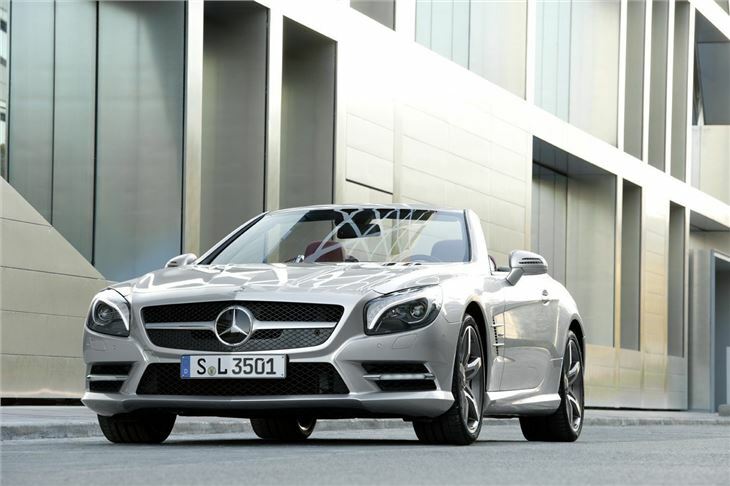 Mercedes-Benz has also done a good job of reducing wind noise with the roof down – a built-in electric windstop means that it's possible to hold a conversation at motorway speeds. Back to that roof. It no longer has as much novelty value, but it continues to impress as a piece of automotive art. 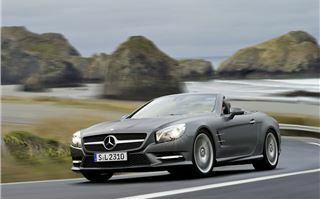 It's also had a thorough re-think and is now made from magnesium, to help contribute to weight-saving. Engineers have also managed to shave 20 seconds on the time it takes to open, though its sheer bulk means that when it’s folded away, luggage space is still on the tight side. 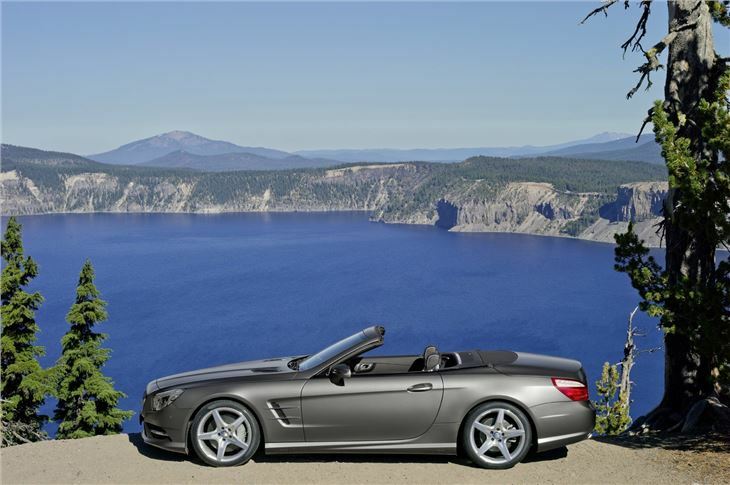 With the roof up, you’ll get away with a couple of weekend bags in the boot, but with the roof folded down, there’s barely enough room for a couple of briefcases. On the plus side, one neat feature is that the roof lifts up when it’s folded away and there’s a new ‘kick’ system to open the boot. The idea is that if you’re carrying heavy bags, all you need to do is waggle your foot underneath the back of the car and the bootlid will open (do it again and it will close). It’s a nice idea, but you need to be very precise where you ‘kick’, which means it works better in theory than in practice. There’s no end to the full-on technology onslaught inside. It’s not until you start to compare what’s available on this car compared to its predecessor, you realise just how past its shelf life the old car was. In short it wants for nothing (the full list of additional kit is here). 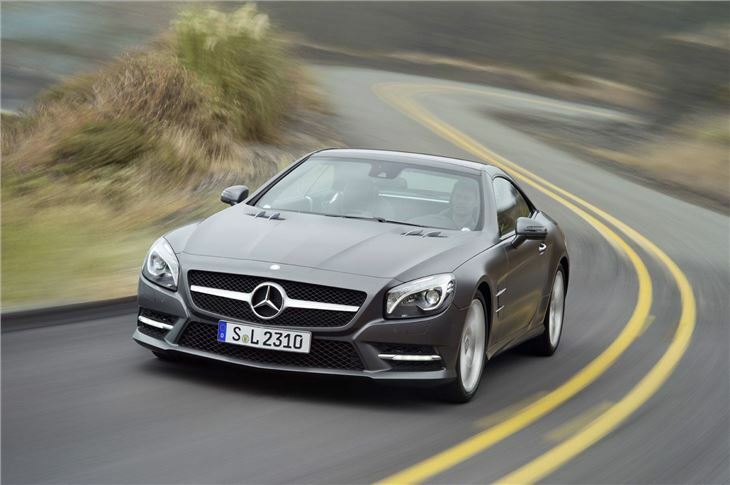 The new SL gets every piece of equipment that’s available to buyers of the E-Class and S-Class, as well as a few firsts including ‘Magic Vision Control’. This rather grandiose-sounding piece of technology is essentially a new wash-wipe system, squirting water from the wiper arm rather than through jets on the bonnet. A clever addition, and it means that the driver’s vision is less impaired by the initial splash on the windscreen, but in practice you’ll barely notice the difference. 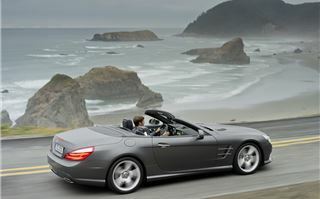 As well as being packed with the kit, the interior of the SL is also a comfortable place to while away the hours. It's wider than before, so there's even more space between the driver and passenger plus the seats are incredibly comfortable - heated, vented and every-which-way (but loose) adjustable. 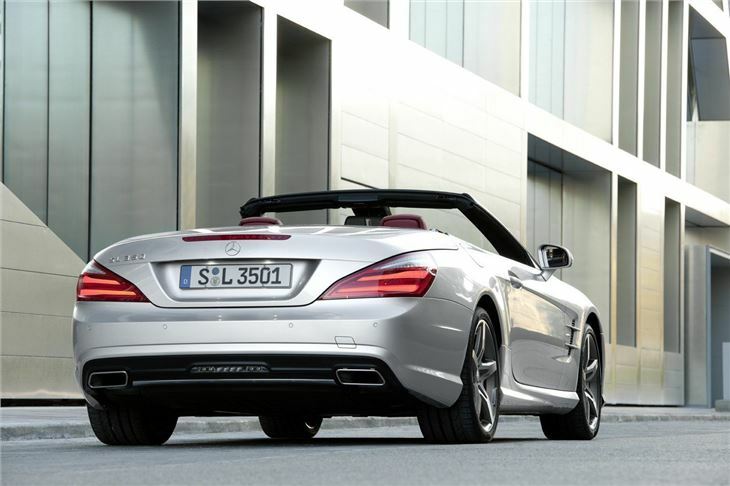 The heating is effective (ideal on chilly days) and there’s the Airscarf system, which debuted on the SLK to help keep your neck warm with warm air. With the roof up, it’s snug, but not claustrophobic and the introduction of ‘Magic Sky Control’ darkens the glass roof at the touch of a button to cool the interior; the leather reflects heat too. Incredibly smooth and refined. 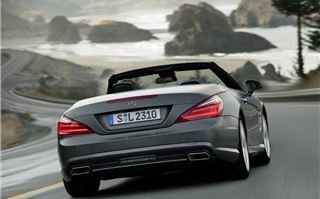 One of the best convertibles at minimising wind turbulance with the top down. Very well equipped as standard. Good ride. 640d from September 2011.